control and protection over trail hazards. When the going gets tough, we create a running shoe that's tougher. 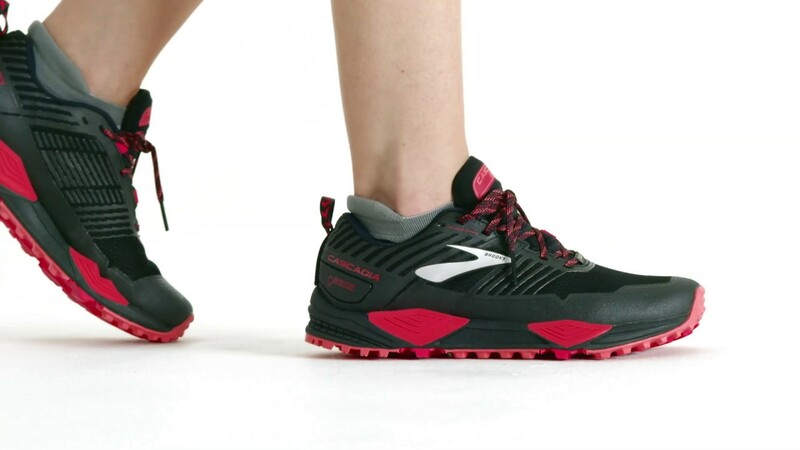 Brooks Cascadia is designed with adventurers in mind, with the purpose of conquering even the grittiest, wettest, rockiest, most uneven and difficult terrain. In terms of technology it's all there, with a super smooth transitional BioMogo DNA midsole, a rock shield for maximum protection, Pivot Post system to keep you stable and rugged traction to ensure you are ready for any surface. Whether you need men’s trail running shoes or you’re looking for women’s trail running shoes, check out our Brooks Cascadia 13 for men and Cascadia 13 for women offered across Australia and New Zealand today.